Hi everyone! It's Dan again, Gretchen's lucky husband! Sorry in advance, I have a lot to share, plus it's been awhile! The last time I posted, I made a few goals for the month of August. Some of them I met, some of them I didn't. I meant to meet all of them though!... time just flies by way too fast. My goals were to get a rock climbing membership, try a local table tennis club, and run twice a week. I did buy a 3 day rock climbing pass from Groupon to try out a new gym near our house. Haven't gone yet, but I'm financially committed at this point. I found 2 table tennis clubs in the Pittsburgh area (thought there would be more), and they're both over 30 minute drive from our house, so not sure if I want to commit to that. And I ran 0 times for a total of 0 minutes and 0 miles! So August didn't turn out the way I expected... but I'm not going to leave you empty handed. There has been some progress and achievements I'd like to share! I started a daily exercise routine that Gretchen designed for me. It consists of situps, pushups, planks, bridges, and some yoga stretches. I've been increasing the reps and time of the exercises throughout the month. The good news is I didn't have to change my old habits at all. I just do my exercises while I watch Netflix! :p Gretchen will share this routine with all of you soon, and if you have back issues like I do, this will definitely help. Not sure if Gretchen told you all, but I have also been vegan for almost two months now. NEVER thought I would see the day. I was all about the bacon, hot pockets, 2% milk, turkey sandwiches, chicken wings... but not anymore! It honestly hasn't been that hard (easy to say when Gretchen meal plans. I'd still be pumping bacon grease through my veins if it weren't for her). I've tried the Whole30 diet before and to me, being vegan isn't nearly as hard. Similar to Whole30, it forces you to eat more fresh produce, which is incredibly healthy and supports local farmers. But there are also alternatives for most of your favorite foods if you can't live without it. For example: I LOVE milk. It's so freaking good. But do you know what's even better? Vanilla almond milk! No dairy, but still has a creamy taste. Plus, it's a healthy alternative for a smoothie base. So much good food- especially the almond milk! 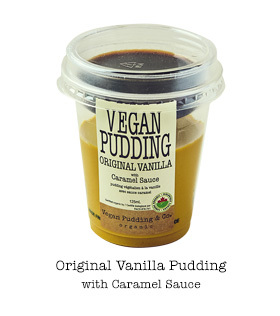 Veganism, if you want to try it out (and I encourage everyone to try at least a week! ), can be however you want it to be. You make your own rules based on what's important to you, whether it's health reasons, ethics, or conserving Earth's resources. For me, it's a little of everything. 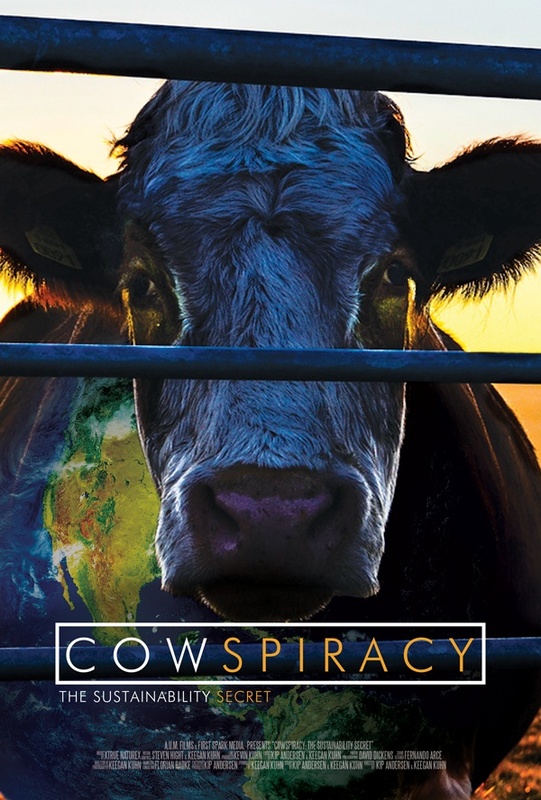 One of the benefits of veganism that I didn't realize until I watched Cowspiracy is that the animal agriculture industry is a major contributor to deforestation and to greenhouse gasses. So if you're concerned about global warming, you have a reason to eat a vegan diet. As human population increases exponentially, so will the amount of land that needs to be cleared to raise farm animals. This means less forests and more methane produced by cows. There's only so much land on this planet and only so much methane our atmosphere can handle. I'll leave it at that... if you're interested, you can learn more from google or the documentary Cowspiracy. No eating fruits picked from a tree. This disturbs nature's cycle. Only eat fallen fruit. No eating vegetables. This kills the entire plant, whereas a fruit tree gets to live on. Shellfish are okay because they don't have a central nervous system capable of feeling pain. This one's still a big debate! As you can see, there's no one size fits all. Do whatever aligns with your values and motivations, but you should at least give it a shot if you haven't yet. There's nothing to lose (except B12... don't forget to take your supplements!). Another August achievement: I got a physical exam and preventive blood work done. This is the first time I've been to the doctor since 2011. My company gives me a pretty sizable contribution to my Health Savings Account if I get the physical and blood work by the end of September every year. So if your company offers a similar incentive, you should definitely act on it! Same with 401K match. It's free money! I probably wouldn't have gone to the doctor if it wasn't for this incentive through work. Got the test results back and everything about my blood is healthy, and I wonder if this has anything to do with being vegan. I wish I had blood work done last year to compare. I still play on my work's ice hockey team, and other than that, I run around with Selma in the backyard as much as I can. So although I'm not logging miles, I'm logging moments of pure happiness. She loves to run! She'll go into hyper modes where she'll zig zag back and forth like a cheetah is chasing her. Sometimes before bed she has too much energy and I'll just do this with her for 10 minutes and then when she comes back in, she just passes out. One of the reasons why I wanted a decent sized backyard was for her to run around, and it was worth every penny! We're thinking about getting a second dog, but it'll be a hard decision. 1) no dog can be as great as Selma. 2) Selma is protective of her house and it would be tough for her to share it. 3) it would be tough for her to share us with another dog too. Since I'm new to being healthy, I'm going to start a Lessons Learned section at the end of each post. I think it'll be a good way to document what I've learned and to share that newfound knowledge with all of you! What do you think? Lesson 1: Don't buy more than what you need. I mentioned that I bought a 3 day rock climbing membership through Groupon. I could have bought a 1 month pass for twice the cost instead. Going by the numbers, the 1 month pass looks like the better deal. You could go 30 times in a month for only twice the cost! But realistically, I'm probably only going to go once a week and something will come up that will keep me from going one week. So if I got a 1 month pass, I probably would've only gone 3 times anyway... for twice the cost. I get suckered into this type of thinking all the time. This is how I end up with bottles of Advil with 500 tablets.... because it's cheaper per tablet! But... realistically I only end up using less than 50 or 100 tablets by the time they expire in a year or two. This isn't a problem with items that you need that don't expire though. That's what I try to tell Gretchen about my bulk pack of deodarant. She thinks I'm smelly, I just think I'm being economical. Lesson 2: Create incentives for achieving your goals. Even though I do a "daily" exercise routine now.. it hasn't been as daily as it sounds. It's easy to forget to do it, and I probably missed 10-15 days out of the whole month. Not a good success rate! The issue is there's no consequence for not meeting my goal. Sure, you could say my poor health is a consequence, but we naturally tend to think short-term only. I need to trick myself into working towards my goals by giving myself incentives. Look how extra money from my company convinced me to go to the doctor for the first time in 5 years and agree to let them poke a large needle in my arm. So for my daily exercises, I'm going to put a list of my exercises in a chart form and hang it on the fridge. I'll mark a star for each day I do my exercises and if I get more than 6 stars in a week, then I'll treat myself to something special (vegan ice cream!). Yes, I'm going to treat myself the way my parents did when I was 9 to get me to do chores. Whatever it takes! I'll let you know how this new system works. Do you think we should get a second dog? Do you have a jealous pet? What's the most distance/time you're willing to travel out of your way to participate in a weekly activity/club? Even if you're not vegan, some of your favorite meals might be. What's your favorite for me and Gretchen to try? We're back at it again with a new training season! I love fall races, so I'm so excited to start training for the Towpath Half Marathon. This is one of my favorite races that I ran last year, and I can't wait to see how it goes this year! I'm back! I decided to take a week off running after my half marathon. Even though I didn't feel like I raced and didn't have any soreness at all, I thought it was a good idea to take a little break. I definitely think it helped, because I felt really excited to run again my legs felt really refreshed! Alternated 5 minutes slow/5 minutes slightly faster. Not full blown "speed"work but enough to get some energy in my legs! I had a lunch meeting on Tuesday so I had to skip my normal weekly yoga class. Instead, I decided to do a video at home. I never do as well on my own, so this wasn't a great workout to be honest. I took the bus to work, which means that I didn't have any time to run in the morning. Instead, I ran after work when it was super hot! Apparently the cool days are over and the summer heat is back (for now). WAH. I should be sharing a race recap for Run Around the Square, but I woke up and just wasn't in the mood to drive across the city and run a race in the heat. Instead, I ran an easy four miles around my neighborhood and checked out the opening of Nordstrom Rack with my mom and sister! Much better. I woke up nice and early to go running before it got hot out (or stormy judging by the forecast) and it was a great run! I was trying out a new pair of running shoes since the ones I wore during Seawheeze somehow got a rip on the inside, and so far I'm loving them! Happy Friday everyone! 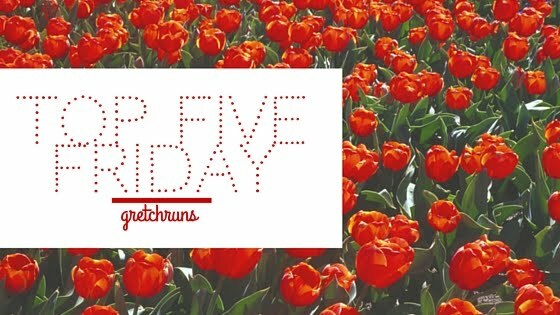 I'm excited to be doing a good old-fashioned Top Five Friday post! I have a lot to share today, including a few of my recent favorite albums and some products. I hope you enjoy, and have a terrific weekend! - Caudalie eye lifting balm - I've been using this all week and it's very moisturizing! This might look like a small size, but since you only need it on a tiny area it will last a really long time. A full size is over $60 though, so I probably won't purchase it! - Sephora eyeliner in 15 (taupe) - This is one of my all-time favorite liners, so I was really excited to see this in the box! The color is gorgeous, and the formula is smooth and long wearing. The liner is only $10, so if you're looking for a new liner I would suggest trying these out! - Lancome moisturizer - I haven't noticed anything special about this moisturizer, but it gets the job done and I love this size for taking to the gym! - Make Up For Ever eyeshadow in I544 (pink granite) - This shadow is absolutely perfect. The color is gorgeous, and it's one of those shadows you can throw all over and blend out and it looks amazing. This is a tiny size, but since it's so pigmented it will last a while! - Urban Decay Perversion mascara - I love getting mini sizes of mascara, and this one is great! It gives me lots of volume and is really easy to use. - Clean Reserve Blonde Rose perfume - Usually I don't like rose scented products, but this one is so light and pleasant and I really like it! There's been so much work going on in our house, and I'm in love with how our kitchen is coming along! I probably spend more time in there than any other room! I'm sharing updates on my home blog, and you can see what updates I made in this post! A few weeks ago, I decided to deactivate my Facebook account! There are a few reasons why I decided to do that, but it boiled down to the fact that it didn't add anything positive to my life. Either I was comparing myself to others, looking back at bad memories, seeing depressing news or reading political rants on a daily basis- none of which did me any good. So, I deactivated and haven't looked back yet! I absolutely love Lindsey Stirling! I've been a fan of hers for years and even saw her live. This is by far my favorite album that she's come out with. I'm a huge classical music nerd, and this is my favorite violin piece! This entire soundtrack has some of my favorite classical songs, so I would recommend giving it a listen! I stumbled on this group while I was looking through new music on Amazon, and their sound completely caught my attention! It reminds me of 90's pop mixed with modern electronic music. It's so interesting and fun! Dan and I rock out to this song when we're driving around, and I'm considering it my summer anthem! It's such a fun song with a slight reggae sound..I love it! I'm sure you've all heard of Adele, but I'm finally, just now, listening to her latest album. This song is much more upbeat and fun than what she usually sings, but I really like it! Hi everyone! Today we're going to be getting a bit personal and talking about a touchy subject- money! I recently discovered the Money Diaries series on Refinery 29, and thought it was such an interesting concept. Seeing how people from around the country spend their money in a week is kind of fascinating to me! While I'm not affiliated with R29, I thought it would be fun to take that idea and share a week in my life and how I spend money. Since this was a rest week after my half marathon, I thought it would be the perfect opportunity to recap my week in money rather than workouts. Paycheck Amount (2x a month): Approximately $570 after taxes, insurance, transportation, 401(k), health savings account. This is the amount that goes to my personal checking account- the majority of my paycheck goes to the joint account I share with Dan to pay all of our bills. 7:00 - We got in really late from Vancouver (around 2AM) so I worked from home. Somehow I still woke up early(ish) and got a coffee immediately! I also finish up some fruit that we had from last week before it goes bad. 11:00 - Really slow day at work. I have a small team (about 10 people) and almost everyone is on vacation. I have the Olympics on in the background all day and catch up on emails and some other work. I'm really hungry so I make some pasta with fresh basil, caramelized onions, and chicken-less tenders. 5:00 - I do some meal prep for the week, and snack on some hummus and veggie crackers that we got at the store. For dinner we're having burrito bowls- my favorite! I also have some white wine. 6:30 - Work! I was really tired this morning, so I made two Nespresso pods instead of my normal one. It definitely helped wake me up! For breakfast, I made overnight oats on Monday night with some almond milk, chia seeds and sunflower seed butter. 11:00 - Get out of a 3-hour long meeting and I'm so hungry! I brought a side salad with my lunch so I eat that and have some water. 1:00 - Eat the rest of my lunch- leftover pasta from yesterday. 6:00 - For dinner, I make homemade pizza. Dan and I both love Trader Joe's pizza crust, so I just add on some sauce and load it up with veggies. On Dan's, I add spinach, onions, black olives, peppers, and vegan mozzarella. I tried to do a rainbow pizza with tomatoes, peppers, olives, onions and spinach, but my crust was just a bit too thick. It still tasted great! I also tried out a recipe I saw in a magazine for zucchini chips. They were SO good! 6:45 - I got to work a bit late and forgot to make coffee. I have some k-cups at my desk in case of emergency, so I made one of those. Luckily, I did remember to grab my overnight oats (same as yesterday) though! 11:00 - Lunchtime! Today I had a burrito bowl, black bean salad, grape leaves and some pickles. Odd combination, but I like having small portions of different foods so I can spread out lunch over a few hours. 5:00 - Finally leave work! Take the bus home ($3.75). I have the worst luck and it's an absolute downpour. I really liked my outfit for the day and was planning on getting a picture of it when I got home, but it's soaked through! 6:00 - Get home, immediately change into pajamas (feels so good) and make a decaf almond milk latte. I needed a hot drink and this tasted great! I still can't believe how good the drinks are that come out of the Nespresso, which is why I hardly ever go to coffee shops anymore. 6:30 - I had some leftover veggie burgers in the freezer that I made a while ago, so for dinner I thawed those out, topped them with Trader Joe's mango jicama slaw on a pretzel bun, and served it with more black bean salad. 6:30 - Got to work with my coffee. Last night I was too lazy to make breakfast, so I just grabbed a banana and granola bar on my way out. Not exactly satisfying, but better than nothing! 11:30 - Pick up my order. It's SO good! All of our managers were out for 2017 planning meetings, so my day was pretty free. I turn on the women's volleyball match while I eat, and it ends up being a really intense 5-setter. Unfortunately we end up losing....wah! 6:30 - You already know my morning drill by now...get to work and drink coffee! For breakfast, I had some salad. Some days I just don't feel like eating breakfast food, so I'll eat something normal! 6:00 - Dan and I head over to Chelsea's with the Sam Adams we picked up. She also had a bunch of food and we played Cards Against Humanity! 8:00 - It's been such a long time since I slept in, and it felt so good! I started my morning with some espresso and some sauteed veggies with roasted potatoes. I also turned on the Olympics and chilled out! 2:00 - Dan and I spent the morning doing some projects around the house (including installing an indoor herb garden!) so at this point I'm starving. I tried out a recipe for tofu lettuce wraps and they were amazing. Dan liked them so much that he requested them again! 7:00 - I did a lot of cleaning, so I thought it was the perfect opportunity to relax for the rest of the night. For dinner, I made Alexa's Roasted Broccoli with Quinoa Salad (so good!) along with the rest of the black bean salad in the fridge. 9:00 - Today is my last day of my week of rest, so I slept in again! When I finally woke up, I turned on the men's marathon. I also made coffee as usual, and just had a banana for breakfast. Some mornings I just don't have an appetite! 5:00 - It's our monthly vegan dinner, so a few friends come by! We have a ton of great food, and end up opening the wine I got on Thursday. Everyone loved it! Weekly total - $128.54 from my account, $180 from joint account. There you have it! This week was definitely more social than most weeks for me, so I ended up spending more than usual. It was a lot of fun time with friends though, so I don't regret it at all! My philosophy is to save money 80% of the time, so 20% of the time I can have fun and not worry about paying the bills. What do you spend money on most weeks? Hi everyone! I can't believe that race day has come and gone already. When I signed up for this race last year, it seemed like it was so far away. Then, I picked up training and the 10 weeks of training seemed like such a long time. Now the race is already over! This was a great week for me that culminated in one of my favorite races to date. While I didn't get a PR, I did have an amazing experience that might be one of my favorites of all time. I'll definitely be sharing more, so today I'll just give you a quick look at the final week of training! Nice and easy workout this morning. Jogged and strolled my way through 4 miles. Trying to keep it easy for the week. Took it easy in yoga this week. My favorite instructor was back and led us in some great folds and stretches. Easy four miler in the morning with some strides thrown in the middle. It was such a beautiful morning and my legs felt great! Dan and I got into Vancouver on Friday afternoon and spent pretty much the entire day walking around exploring. Probably not the best way to spend the day before a race, but I didn't want to waste the trip! Since we decided to stay just for the weekend, I wanted to make the most of our short trip. I'll write more about what we did, but it was great to walk around and explore! One of my favorite races ever- look out for a full recap later this week! oh, Candada....Hi everyone! 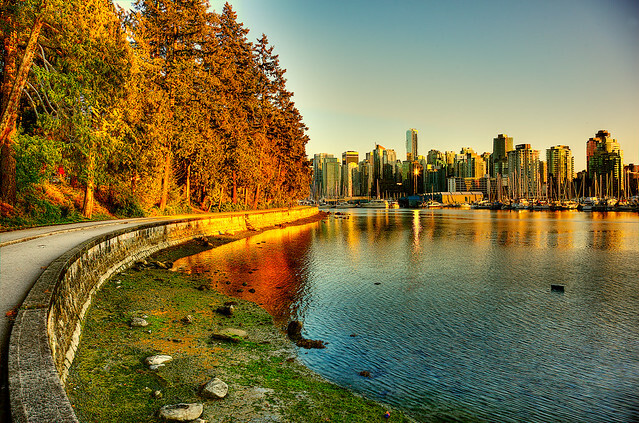 Today I'm coming at you with a quick Top Five Friday post, all about Vancouver! As you all probably know, I'm excited about my trip and the Seawheeze Half Marathon. I'll be sharing the top five things I'm excited to see (and eat) during my trip. Talk to you all on Monday, and have a great weekend! I might be starting off on a lame note, but I absolutely love Tim Hortons coffee! Anytime I'm in a city that's lucky enough to have one, I always stop in and get their dark roast. There's a few really close to our AirBnB, so I'll be sure to go there (probably daily). I absolutely love large parks in cities, so I'll definitely check out Stanley Park. There's an aquarium which is right up Dan's alley, as well as lakes, trails, gardens and more! This is also the location of the Sunset Festival (the after party for the race), which should be fun! Hopefully by now you all know that I love water and running by water. One big reason why I wanted to do this race was because the course runs all along the border of the city, which is surrounded by water! It looks absolutely gorgeous, and will hopefully make this a really fun race. Suzy gave me some great restaurant suggestions that are located on the water, so I'll also get to enjoy the view in a more laid-back way! Another lame pick, but I've heard so much about Shoppers from YouTube videos and Canadian friends! Anytime I visit a new country, I'm always interested in seeing their grocery stores and markets. Since we're staying in an AirBnB, we also have access to a kitchen, so I'll be stocking up with some food for our stay! Little morning run to get the week started! Felt good, just a little tired today. It was a beautiful morning though, and the days are starting to get (slightly) cooler! Great speed work this morning! 5 miles with 20 minutes alternating fast and slow. Funny how I can start out feeling so tired and legs feel heavy, then as soon as I have to start the speed session I can bust out 7:00 paces and it not feel hard at all. Felt so good to stretch out my legs! Loved this workout. My normal favorite instructor wasn't there, but the sub was alright. Not my favorite, not my least favorite. Big focus on leg strength and mine were still tired from the morning, so this was challenging! Stayed indoors to run on the treadmill in the morning. I watched the Vanilla Ice Project while I ran which was pretty entertaining! I woke up early on Saturday morning to run a nice and easy 5 miler at North Park. It felt great out, but was incredibly humid! For some reasons, the weekend mornings have been stifling with humidity..just in time for my long runs! My body and legs felt great though, so this was a really good run. Afterwards, I met up with Jennifer for brunch at the boat house! I was planning on waking up early and running at the lake again, but I stayed up watching the Olympics and slept in. I decided just to run around my neighborhood, which ended up being a great, relaxing run.